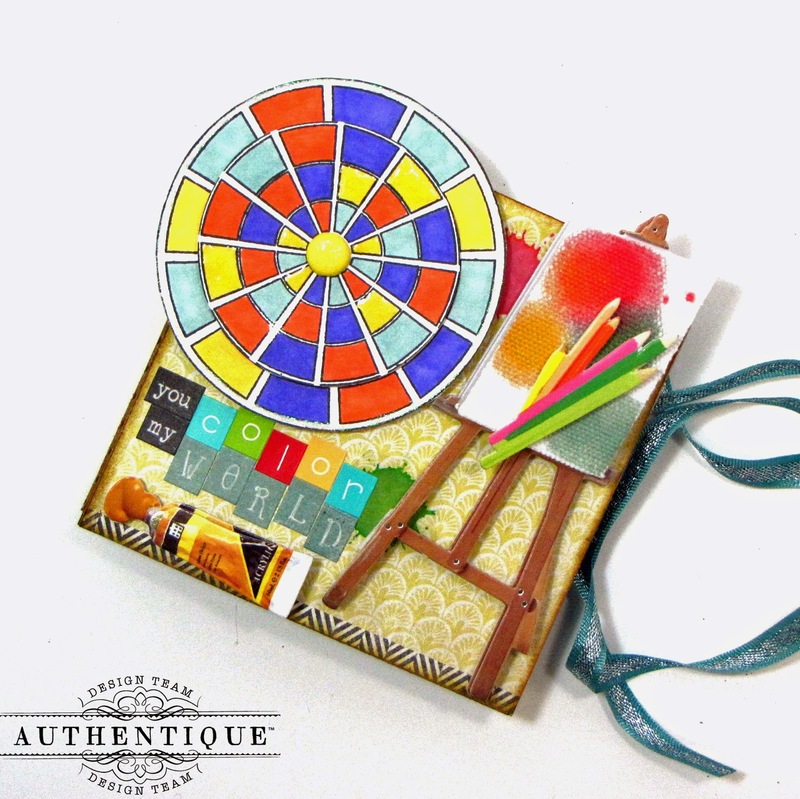 This colorful mini album is one that was made several months ago as a DT assignment for Authentique. 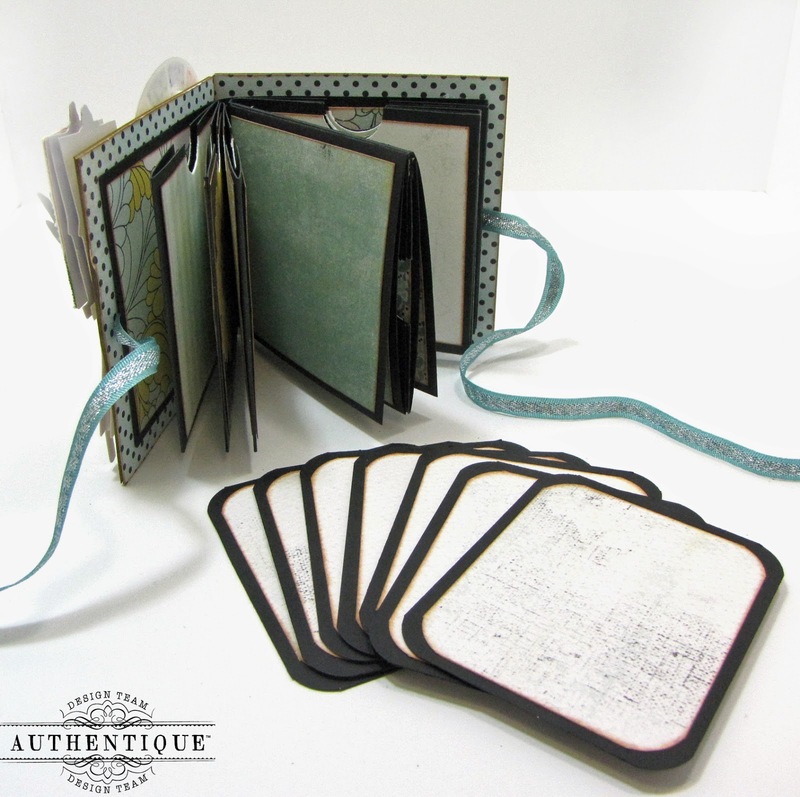 This little album measures approximately 3 1/2" x 3 1/2" inches & is ideal for storing wallet sized or 2" x 2" photos. I've used papers from Authentique's 'Renew' collection. This mini album was made by using the meander technique. There are countless of tutorial on YouTube & on the internet on how to go about making this type of mini album. This was a first for me & I found it to be a very quick & easy way to create a base for a mini album. The cover is a combination of sticker elements that I bought at my local Michaels and a color wheel stamp by Sweet Stamp Shop. The easel was an embellishment by Jolees..it has an actual canvas texture. I applied a couple of alcohol ink drops directly onto the canvas. This gave the illusion of paint splatters on the canvas. The design of the meander album was altered slightly. I added tags to all the pockets & created a few pages towards the center of the album that flip open & reveal more space to store additional photos. 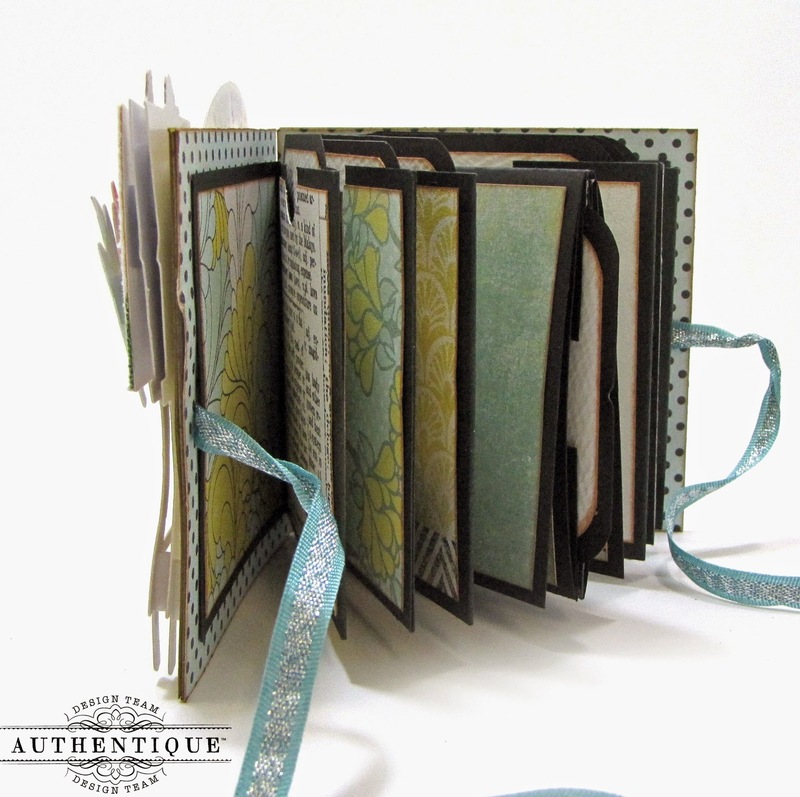 Since I added additional flip pages to this mini--it ended up being a thick mini--but it can be tied closed with the ribbon & it's a really cute way to store pictures of kids, grand kids or even pets. Since it's a small album, it's also convenient to carry around in a purse or tote. 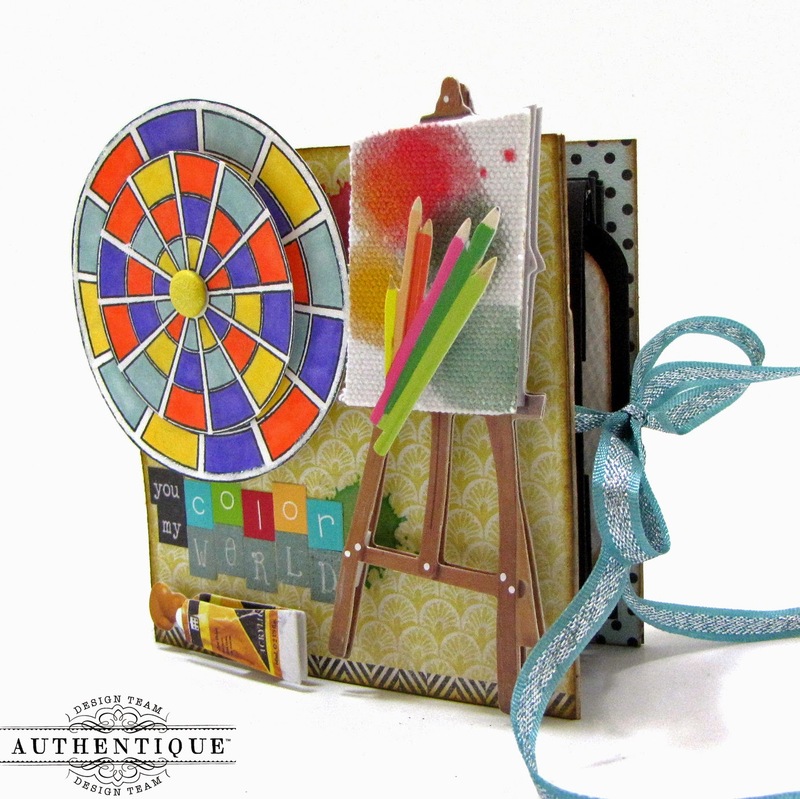 The color wheel is an interactive embellishment. You can spin the upper level of the wheel--I thought this would add a nice touch to the whole 'color' theme of the mini. Great job Kay! I love it, I really want to try to make one of these, one day I hope! I love that little easel, so well done. 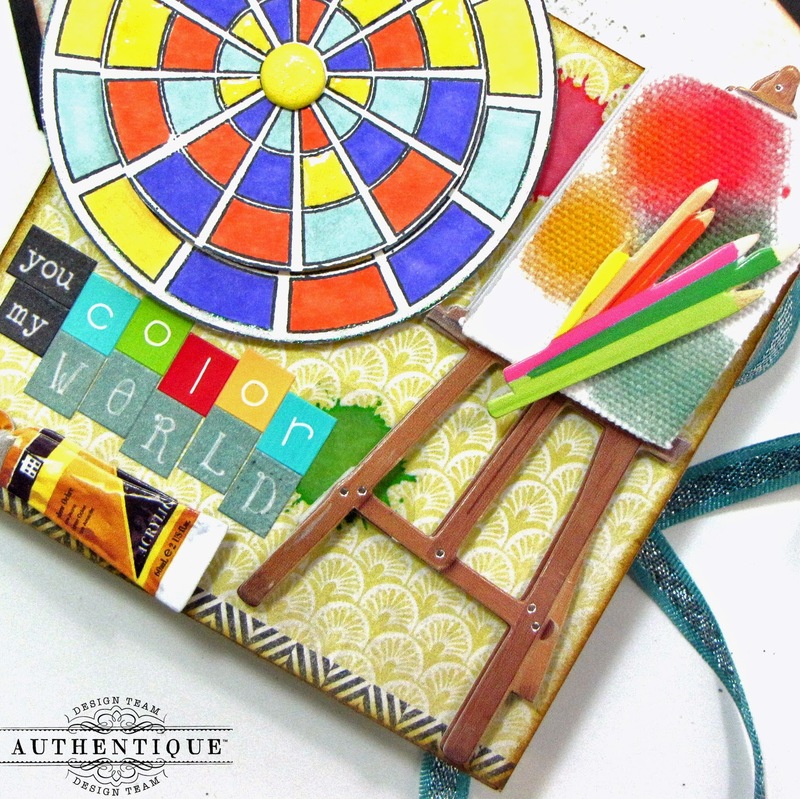 Such a fun and colorful project! All comments are very much appreciated. Thank you for stopping by! "We are but a grain in the sands of time, an instance in an endless timeline. Live every moment to your fullest, capture every wonderful memory, document every heartfelt experience. Never allow yourself to forget..."
A Blog Hop With A Difference!